Whether you haven’t even started the dreaded back to school shop yet or just have a few last-minute bits to get, fear not as we’ve got you covered. First on the list has to be school uniform and where better to kit your kid out for the school year than Marks & Spencer. Their uniforms are made to last, with clever innovations including non-iron shirts and stain-resistant technology. Dressing for school has never been so easy! From scuffs to worn out soles there’s no denying that school shoes take quite a beating from your little ones. But did you know that Clarks perform 60 punishing tests on every style they make? From flexing leathers 500,000 times to pulling laces to destruction. The result? The best school shoes, ever. 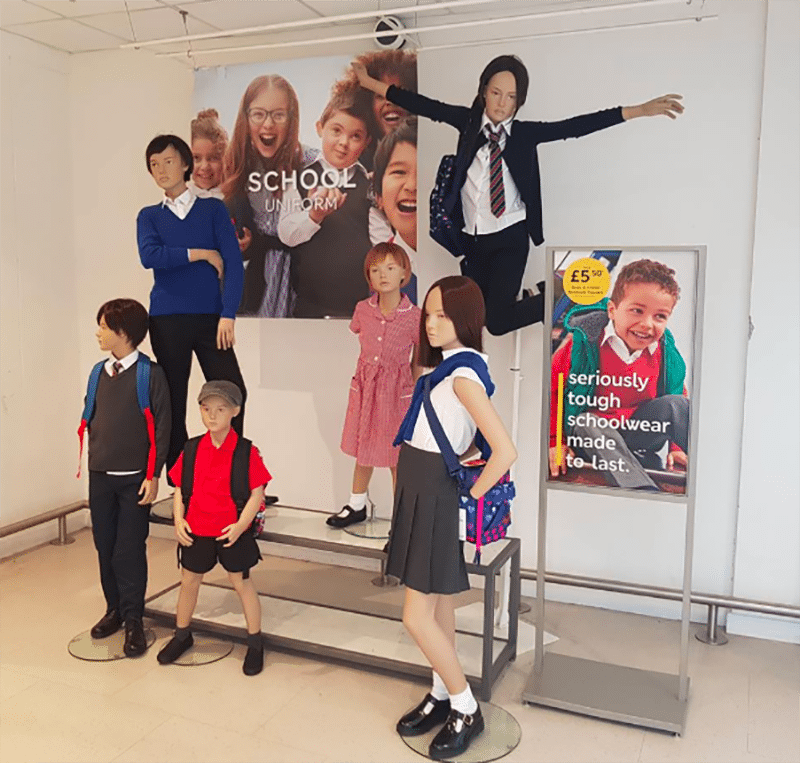 Visit their experts in-store to get the perfect fit, with whole and half sizes and a range of width fittings – there’s a pair of school shoes for everyone. No new school year can start without a new pencil case and stationary set. Head in-store to check out Smiggle’s latest ‘Stylin’ collection filled with new Smiggle colours and prints. We particularly love thier ‘Now You See Me’ zip it kits which provide you with everything you need, plus, their endless choice of pencil cases provide the perfect home for all of your kids stationary goodies. Blast off to class with Claire’s cosmic range of accessories. From head turning hair ties to plushie keyrings, your kids’ accessories will be out of this world. While you’re in-store why not check out their range of backpacks? From Doug the Pug to reversible sequins, the family can keep their belongings safe and stylish on the journey to school. With the backpack and stationery sorted, why not add some Disney to your kids’ lunchtime. Whether your children are a wannabe superhero or dream of being a princess, the Disney store has a magical collection of lunch bags and water bottles featuring all of their favourite characters. With the end of the summer holidays fast approaching don’t forget to visit Whitefriars for all of your back to school essentials.